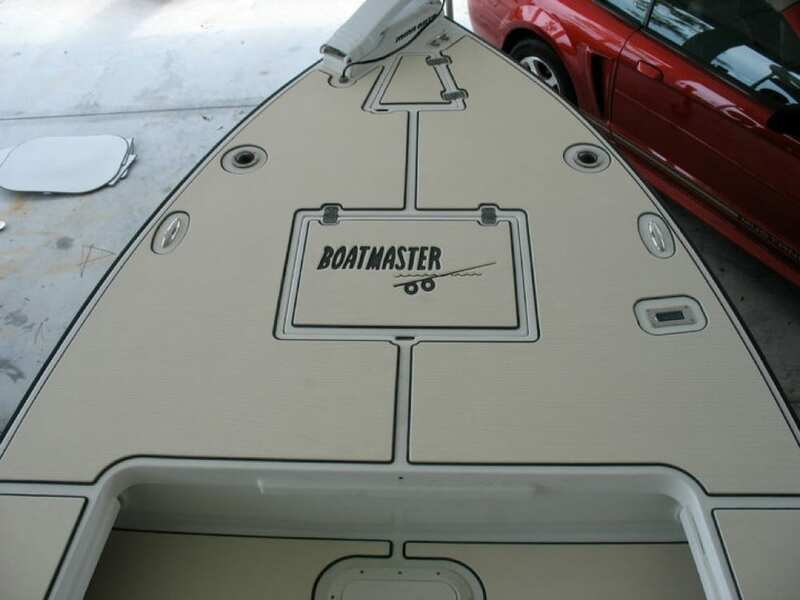 I had the pleasure meeting the guys from Boatmaster Trailers through a mutual friend Capt. Chris Wittman down in Fort Myers. 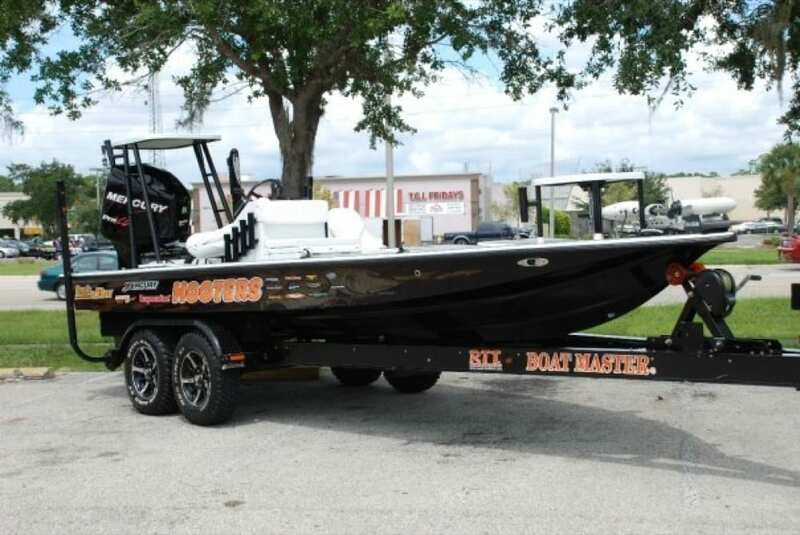 Chris runs the Team Hooters Lake and Bay boat which he guides out of and fishes in numerous tournament series. I was very impressed with the double rig trailer built by Boatmaster to pull around not only the Boca Grande, but also the 17′ Predator at the same time. It is like the circus coming to town when these guys pull up towing two boats behind one truck. 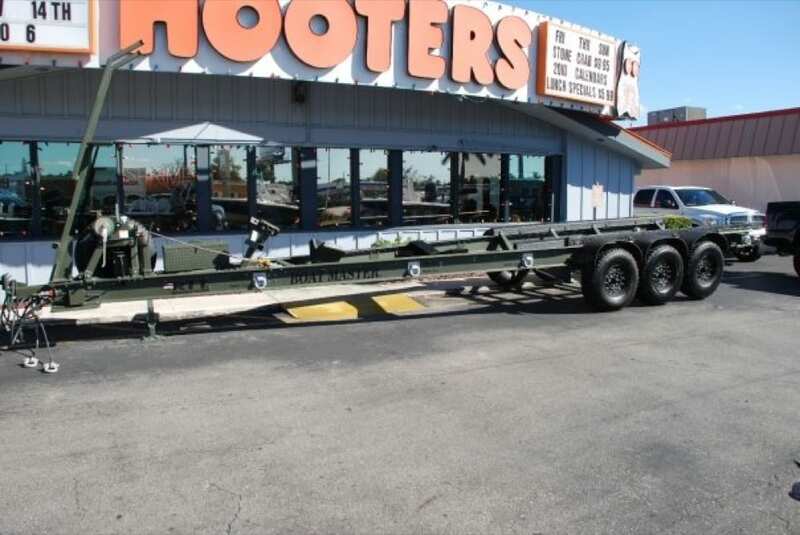 Boatmaster also builds many of the trailers for military so they know how to build a trailer that will take some abuse. The owner of Boatmaster fished with Chris one day and was impressed with the custom SeaDek on his Lake and Bay and happened to own a Lake and Bay himself so he gave me a call. 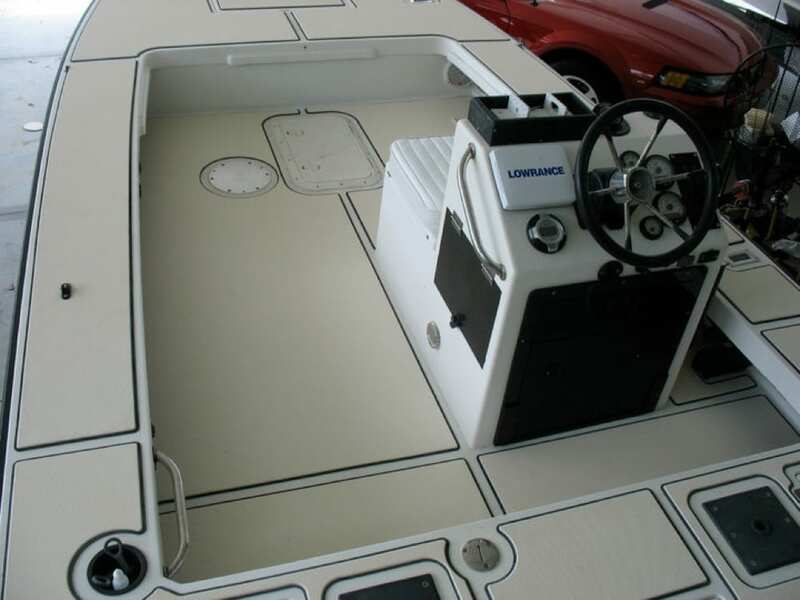 His boat is older and had seen better days so he figured a full SeaDek kit would not only provide the comfort and traction he was looking for, but also give his boat a nice face lift. 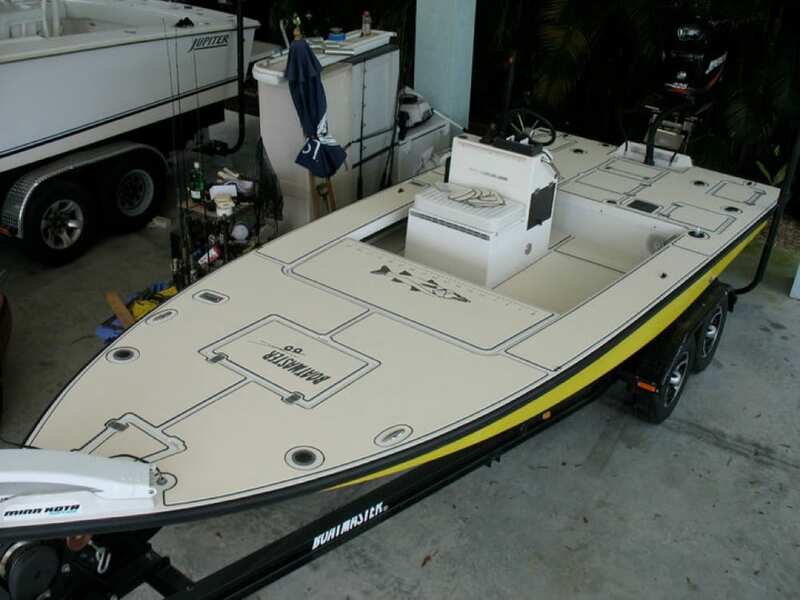 As you can see the beach sand over black color is a very nice color combination and contrasts nicely with the bright yellow hull. 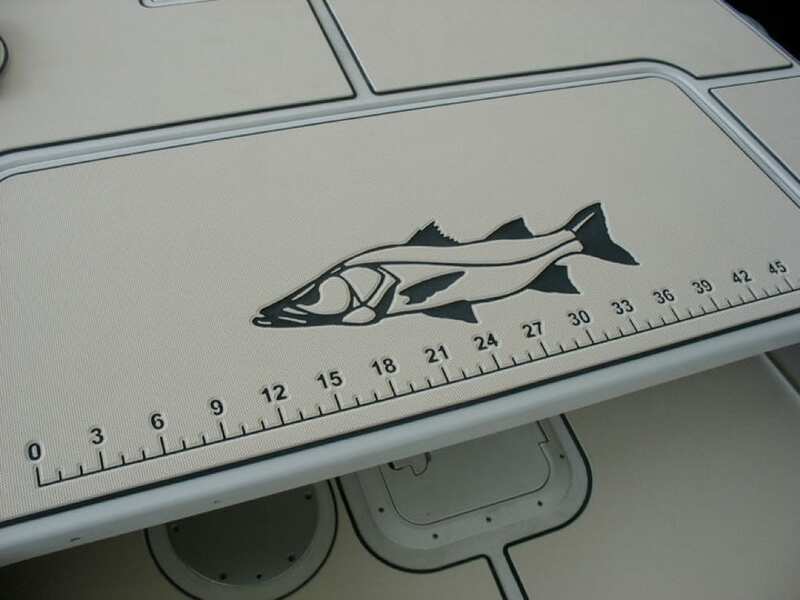 Those Fort Myers boys know how to catch some big snook so we threw in a snook logo as well as a large measuring stick so they can have proof of their fish tales. Castaway Customs is working on a few project boats that will soon be sitting on Boatmaster Trailers and following me around the state. 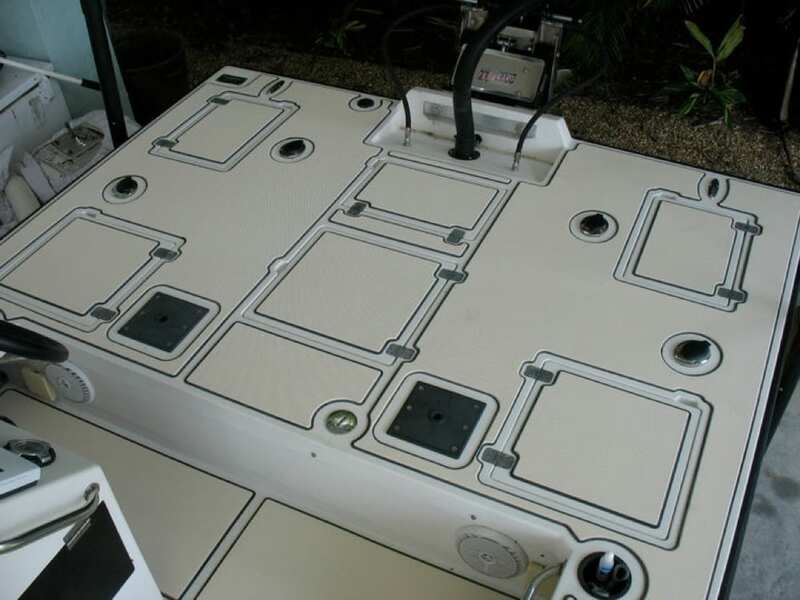 Keep checking back for updates on the project boats and in the meantime if you would like some custom SeaDek you can contact me by email at info@castawaycustoms.com and if you are need for a new trailer make sure to contact Boatmaster for some of the baddest trailers made.